iPage is a Web hosting provider that targets the small businesses who want to work in the E-commerce sector. It offers users an unlimited disk space, a free domain name and an unlimited number of Email addresses. 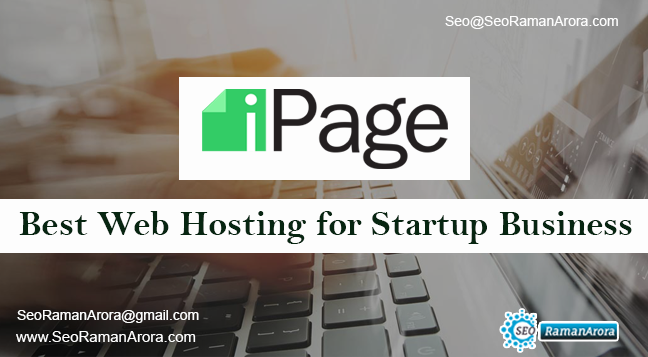 iPage is Best Web Hosting for Startup Business which has plenty of features that help you to quickly and easily develop your site. You can choose from hundreds of pre-built website templates and themes. You can also opt to use their mobile optimized website builder. Another feature that appeals the small business owners is the ability to implement the e-commerce add-ons such as the shopping carts and the Paypal integration. iPage integrates with any of the commonly used Content Management System such as WordPress, Drupal, and Magento. You can contact the iPage’s customer team easily using their online ticketing system or 24×7 chat and phone services. If you are not satisfied with the services, it offers you a 30 days money back guarantee. Today, iPage is one of the many providers owned and run by the Endurance International Group. Ipage is one of the most trusted and recognized web hostings. It focuses mainly on the three aspects: Email, sites and the security. iPage gives you unlimited emails. You can also test the emails before sending. Spam management is also included. There is no need to delete spam every day. Each of the individual mailboxes has a maximum storage capacity of 500MB or 10000 email messages. iPage has unlimited disk space. As long as your usage falls under what iPage considers as the normal operation of the iPage website. iPage makes it easy to set up your first few sites. However, it makes the process fairly difficult after that. So, if you want more than a few sites, you better look for the reseller host plan. Security is one of the biggest concern as far as choosing a hosting provider is considered. Below is a list of some of the security features of the iPage. Each machine has redundancies that kick in seamlessly if the machine crashes for any reason. The units are also backed up by the other sets of units that contains a mirror copy of the data in case of primary unit’s disc fails. Site lock is an extra form of security. With this system, you can activate the malware scans to protect your visitors from viruses and other problems. Verify your website so that your visitors will know your site is clear and not having a phishing scam. Support for coupon codes (Premium). For small business owners, getting the traffic to the website is extremely important. Just putting up your website is not enough to ensure that the people will find it. This makes the search engine optimization important. Write the search engine friendly content for your website. Track your website performance over time. Plan actions to boost your website SEO. iPage has various plans to offer and meet the hosting needs. Which plan you choose will depend on the individual needs and requirement of your business. Free Site builder and templates to help with a fast setup of your site. 1 click installation of apps, blogs software, photo galleries and more. 24×7 live support via phone, chat email tickets and the tutorials. Online store facilities including the shopping carts, PayPal integration, coupons and more. Host unlimited sites on your one account. Instant activation of your account once it’s paid for and registered. Unlimited storage, bandwidth, and MySQL databases. Free site building tools to help even the newest of members. Free shopping cart and online store. After the initial term, the renewal price is higher than that of many competitors. Statistics aren’t broken down into individual sites. When you log in, sometimes there is upselling. Domain price is higher than usual after the first year. Site building functionality is limited unless you upgrade to one of the more expensive plans. iPage is a reputable hosting provider that has a reputation of having cheap and good performance. If you are looking for a good web hosting provider, you must look for the iPage web hosting provider.